More autumn leaves on Friday. 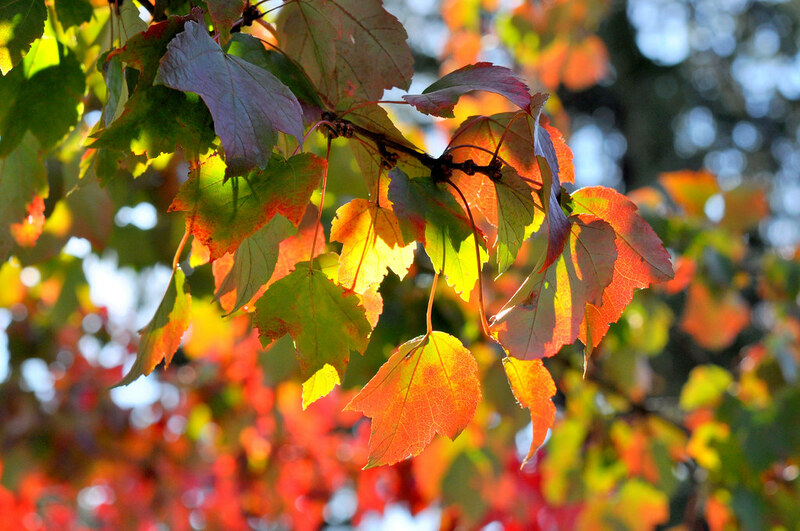 This entry was posted in photography and tagged autumn leaves, bokeh, Judith A. Lindberg. Bookmark the permalink. Thank you, and welcome to the blog. 🙂 You have some beautiful shots too. Breathtaking, Carole. Even though we live far apart, we are obviously drawn to, and wanting to photograph, these same incredible fall colours (http://jpgmag.com/photos/3175381). Please feel comfortable editing out the link if it feels like spam. You chose such an interesting contrast. That colorful tree in front of the dark one. It doesn’t at all, Cheryl. I’m happy to see the link, because I haven’t been to the mag in a long time. Hope to fix that in the near future. Beautiful shot, by the way! Thank you so much. Autumn is my favorite season on the East Coast and I can’t get enough of the colors. Such lovely light and colors. Here the leaves are still green. That really surprises me–thought Switzerland would be ahead of us. I used to think it was the cold that made leaves turn color, but it’s more the shortened days. That picture just makes my heart happy.